The January transfer window is in full swing so clubs are working hard trying to strengthen their squads for the second half of the season and put deals in place for the summer. Today, news on Emre Can and Leon Goretzka…. 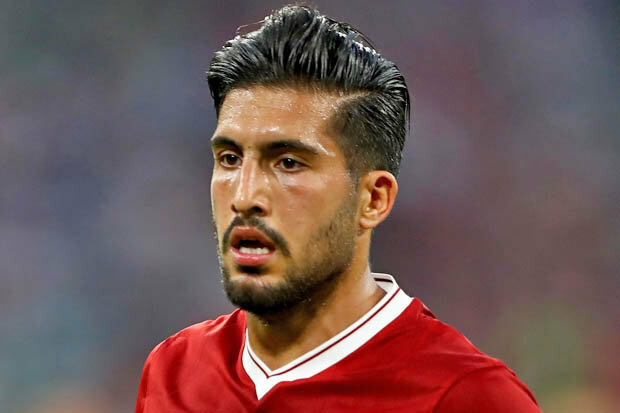 First up and the Mirror have named Arsenal as surprise contenders to sign Liverpool midfielder Emre Can on a free transfer at the end of the season. Can is in the final year of his contract and has so far failed to agree terms with the Merseysiders over an extension despite holding extensive talks with the club over the past few months. The German midfielder is free to speak with foreign clubs about a bosman move this summer and has been strongly linked with Juventus and Bayern Munich recently. Munich are expected to drop their interest after signing Leon Goretzka [more on this later] but Juve are still pushing hard to try and lure the 24-year-old to Italy. However, it seems Can has options to remain in the Premier League as the Mirror claim Man City have expressed their interest while Arsenal are also named as potential suitors for the German star. City have obvious appeal as they are storming to the title and can offer Can a lucrative salary but it would be a shock if the midfielder ended up at Arsenal this summer. The Gunners will offer a similar financial package to Liverpool and are currently in the middle of a squad rebuild so I personally don’t see Can choosing Arsenal over Liverpool or City if he wants to stay in England. Next and and the Mirror are also reporting that Liverpool have missed out on Leon Goretzka after he signed a pre-contract agreement to join Bayern Munich this summer. Goretzka has been one of the most sought-after players in Europe in recent months as his contract at Schalke is due to expire at the end of the season and he’s made it clear he won’t sign an extension. The German international has been linked with practically every club in Europe but the Mirror say Liverpool in particular were desperate to lure him to the Premier League. As I’ve reported above, Emre Can’s future at Anfield is in serious doubt and Jurgen Klopp had lined-up Goretzka as a potential replacement for his compatriot. However, the Reds have missed out as the 22-year-old has opted for Bayern and will move to the Allianz Arena on a free transfer on July 1st after signing a four-year contract today.